This refreshing and timely collection of coming-of-age essays, edited and written by young Asian Americans, powerfully captures the joys and struggles of their evolving identities as one of the fastest-growing groups in the nation and poignantly depicts the many oft-conflicting ties they feel to both American and Asian cultures. The essays also highlight the vast cultural diversity within the category of Asian American, yet ultimately reveal how these young people are truly American in their ideals and dreams. Asian American X is more than a book on identity; it is required reading both for young Asian Americans who seek to understand themselves and their social group, and for all who are interested in keeping abreast of the changing American social terrain. Arar Han is a recent graduate of Boston College. John Hsu is a recent graduate of Harvard University. "There's fury, dignity, and self-awareness in these essays. I found the voices to be energetic and the ideas exciting." "This diverse collection, like Asian America itself, adds up to something far more vibrant than the sum of its voices." "This book is more than an aggregate of Chinese, Filipino, Indian and other voices. The energy, honesty, and promise of the voices therein have created something novel which will inspire young Asian Americans and spur much needed discussions within and around this community." "…the book's genius lies in its variety. Asian American X is not about a quintessential Asian American experience; it is about unique voices that speak to the diversity within the category." "Thirty-five personal, and often controversial, essays written by college-aged Asian Americans. . . . Whether it's a story about racial violence, anorexia or about being a gay Christian Korean American, the uniqueness of each writer and his or her perspective comes forth." "Han and Hsu have done an admirable job achieving what they set out to accomplish. Candid, erudite, and, at times, emotionally gripping, these selections will surely engage the reader. The heightened awareness of conflicted cultural identity and the dialogue addressing this problem is long overdue. Books of this nature will hopefully open the door to further discussion of this dilemma facing many young people." 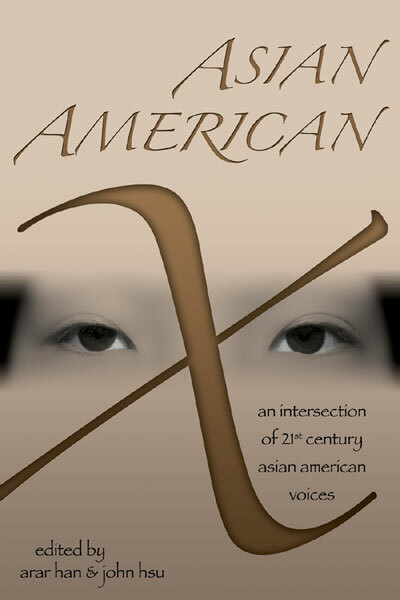 "In this collection, 34 Asian Americans, most in their early twenties, tell their respective stories of growing up, given their own particular combination of racial heritage, social, religious, and family environments. . . . Because many of these essays touch on formative experiences in the classroom, educators at any level can greatly benefit from reading these accounts." ". . . a timely contribution to literature on the Asian American experience . . . [A] n accessible book, perfect for introductory undergraduate ethnic studies and Asian American studies courses. The essays cover a number of important issues concerning the development of a new shared identity—that of Asian American X—while revealing its internal complexity and heterogeneity. It serves as a complement to the existing literature that analyzes Asian American youth by allowing readers to hear the perspectives of Asian American students in their own voices." "What comes through in these essays is the imprint of a common American struggle: to regain the power to create one's own identity after sociocultural forces instill in us the unjust reality of otherness, a feeling so enervating as to allow parts of our identity to be stripped from us. . . . What the writers offer is careful maneuvering through the dark recesses of race, class, color, and culture, in which they manage to articulate their progress with a degree of precision seemingly beyond that which the subject matter allows. . . . What one finds in these essays is not simply writings about problems but penetrating and illuminating insights."